Samsung Galaxy Note 9 is scheduled to be released in advance, but Apple is still released in the usual time and is expected to be released in September, but some accessory manufacturers have already released the iPhone 9 accessories in advance. 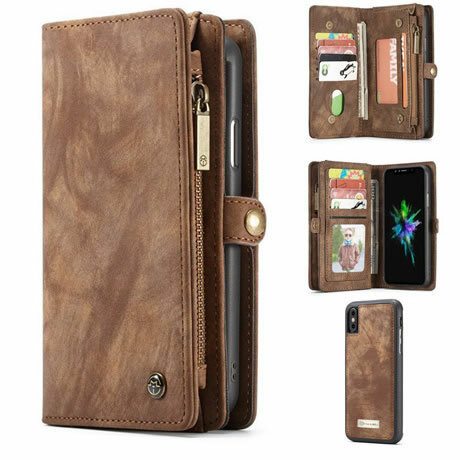 According to our experience, wallet phone case is the best choose, today we will discuss the best wallet case for iPhone 9. If you want carry more than one card, CaseMe Case should be your first choice. It can store up to nine cards and some cash. The case is made of high quality PU leather and is beautifully designed. The outstanding feature of the CaseMe 2-in-1 housing is the ability to easily remove the iPhone from the wallet. The case is attached to the back of the wallet section and has a perfect magnetic appeal, ensuring that the iPhone does not fall off every time you open the wallet. If there is a metal piece inside the case, you can place the iPhone on the car’s magnetic stand. The detachable case of the iPhone will not interfere with the charging of the iPhone 9. The well-known CaseMe has released the Samsung Galaxy Note 9 Wallet Case, iPhone 9 Plus Wallet Case, iPhone X Plus Wallet Case, and interested friends can visit the official website casemecase.com.